The ultimate skate snack is now and always will be pizza. 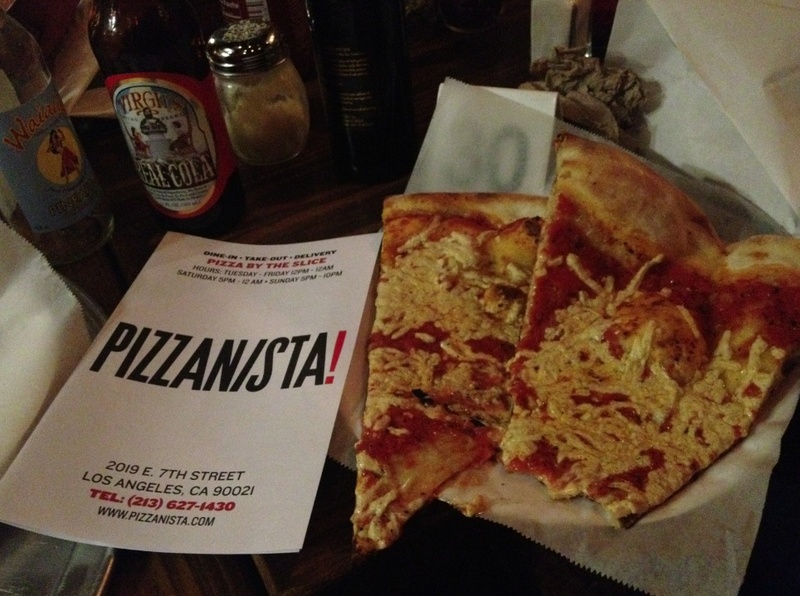 As for the raddest place to get a vegan pizza in Los Angeles, look no further then Salman Agah’s Pizzanista! Not only do they rock a mean vegan-cheese pizza and have three vegan meats from our Chicago friends Upton’s Naturals; there is a stack of Skateboarder and Thrasher Magazines for customers to browse. Located just across the LA river near downtown, this is the perfect spot for some post skate chow. Hit them up on a tuesday night for $2 Slice Tuesday. VSB went in with a party or rowdy vegans two weeks ago and they kept the Vegan Cheese slices coming. Salman was even working the register! Oh and if you missed it, go check Grosso’s Love Letters to Skateboarding for the Fakie Episode. Salman Agah, purveyor of amazing pizza and switch! Salman agah is a legend. I will definitely have to check this place out next time im in LA. I keep meaning to go to this place since it’s only a couple of miles from where I live, and Salman was my counselor at YMCA Skate Camp! i’m psyched on sal… he does a pretty good job of hyping this vegan offerings on the social media…!